Make it different. Make it relevant. Make it engage. Finding the magic intersection of a brand’s authentic story and its relevance to popular culture is the key to creating engaging marketing communication. Bacino creates and reveals brand stories, combining visual nuance and a clever voice, that explode across social, digital, and mass media. 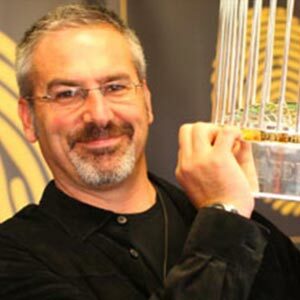 He has created and championed award winning integrated campaigns for Levi’s, Dockers, eBay, Skype, Clorox, SC Johnson, Oakland Raiders, Hilton Hotels, MTV, Fox Sports, Sega, and the San Francisco Giants. Bacino began his career as an account executive at Lintas: NY working on Coca-Cola Classic, Johnson & Johnson and the IBM PS2, giving him a unique perspective on creativity and strategy. This perspective served him well on retail oriented businesses like Taco Bell and Payless Shoes. Today the Chief Creative Officer/Writer/Director balances running his Creative Department, coaching CYO sports, and racing through the hills of Sausalito to attend his two daughters’ basketball and gymnastic events. A balancing act indeed.